Get ready. Marvel's Jessica Jones is getting back to unfinished business. Netflix has announced that the second season of the award-winning series will premiere on March 8, 2018 at 12:01 AM Pacific Time in all areas where Netflix is available. Jessica Jones Season 2 will premiere with thirteen one-hour episodes. In addition, fans were treated to a new trailer with a caption that simply reads, "Try not get in the way." Fans have waited quite a while for Season Two to drop and now the wait isn't too much longer. The Netflix original series Marvel's Jessica Jones was the second of four-epic live-action adventure series (Marvel's Daredevil, Marvel's Luke Cage and Marvel's Iron Fist), which all led to the teaming of the main characters in Marvel's The Defenders. All series premiered only on Netflix. Marvel's Jessica Jones is a suspenseful, edgy look into the life of Jessica Jones, one of the most popular new Marvel characters of the last decade, as she faces demons from within and without. In its first season, Marvel's Jessica Jones was the recipient of a prestigious Peabody Award. The second season has New York City private investigator Jessica Jones (Krysten Ritter) beginning to put her life back together after murdering her tormenter, Kilgrave. Now known throughout the city as a super-powered killer, a new case makes her reluctantly confront who she really is while digging deeper into her past to explore the reasons why. Jessica Jones Season 2 will pick back up right where the first season left off, showcasing the traumatic nature of Jessica's abuse. And although subjects such as these are nothing new for the Netflix original, new details about Season 2 indicate that things will get much more emotional for the character in the Marvel drama's return. In terms of other elements that loom to threaten Jessica's mental state, it is revealed that fans will be privy to more of the character's dark background with the show attempting to dig "deeper into this chaos," show runner Melissa Rosenberg revealed in a recent interview. 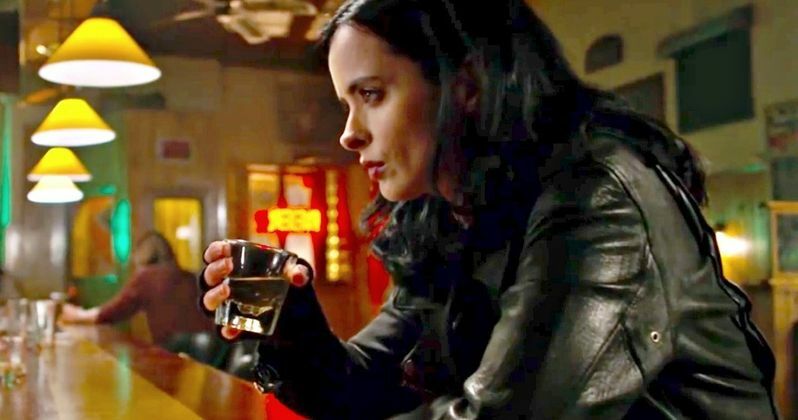 Actress Krysten Ritter also shared harrowing details about the character's anguishing Season 2 dilemma in a separate interview. Ritter also mentioned that the new season will be "very personal." She had this to say. Krysten Ritter (Jessica Jones) is joined by an incredible returning cast that includes Rachael Taylor (Trish Walker), Carrie-Anne Moss (Jeri Hogarth), Eka Darville (Malcolm Ducasse) and new cast members Janet McTeer and J.R. Ramirez, among others. The wait is almost over and March will be here before we know it. As previously mentioned, Jessica Jones returns to Netflix on March 8th, 2018 and you can check out the new teaser below, courtesy of the Jessica Jones Twitter account.